Toshiba has announced the K01 mobile phone sporting a full slide out QWERTY keyboard and a 4.10-inch OLED capacitive screen. 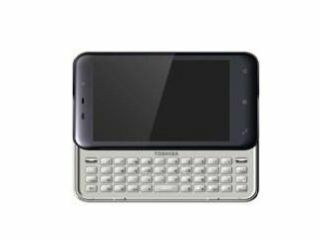 The phone – which was announced alongside the Toshiba TG02 – brings the ever-popular QWERTY keyboard but it is the device's screen which will garner the most attention. "The K01 also offers Toshiba's first-ever Organic Light Emitting Diode (OLED) capacitive 10.4cm (4.1 inch) widescreen – providing bright colour, contrast, lower power consumption and faster response times than ever before," said Toshiba. The K01 is 12.9mm thick – with the keyboard obviously boosting the size somewhat – and the rest of the specs are broadly similar to the TG01. That includes a 1GHz processor, up to 32GB storage (through a MicroSDHC slot) and the company's new user interface which it hopes will "let users quickly browse to their favourite features, saving time and making the mobile experience more enjoyable." There is no UK release date or price available as yet for the Toshiba K01, but the moment that we find them out we will, of course, let you know.